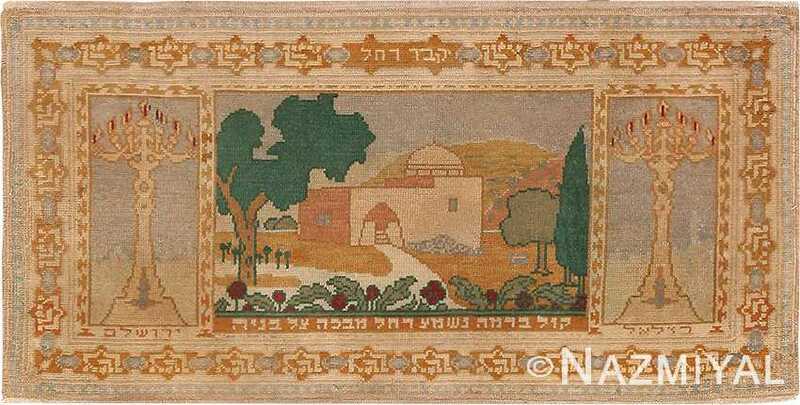 Judaica Rugs and Jewish Carpets – To appreciate Jewish art it is important to understand the relationship between the art, the Jewish religion and the traditions of Judaism. For centuries the Jewish people were wanderers, often oppressed and forced to migrate and live within the civilizations of others. 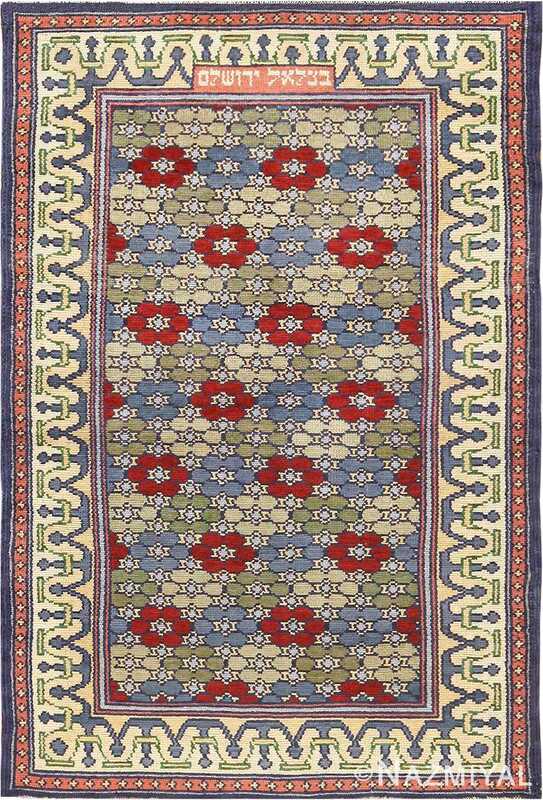 It is this cultural diversity that has inspired and influenced Jewish artisans to produce a vast variety of fine art. 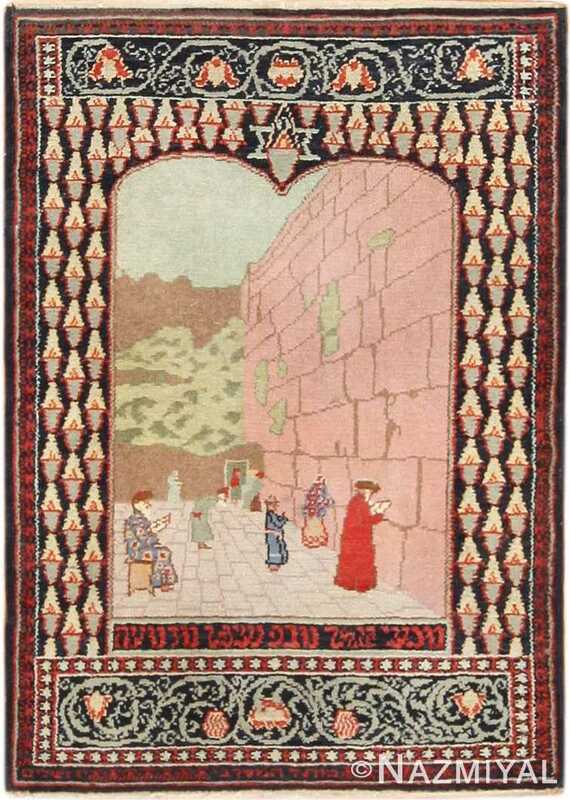 Judaica rugs are an example of a uniquely Jewish art form. 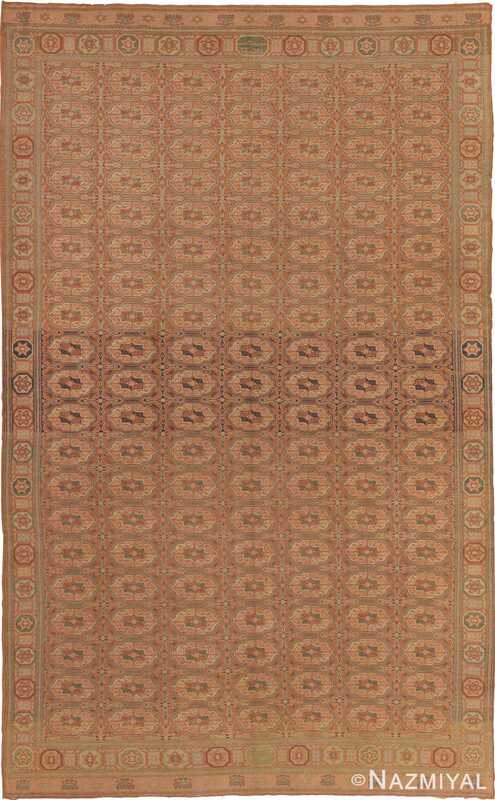 These antique rugs were not only made in Israel they were produced all over the world such as this fine Kashan rug from Persia or this mid-century Moroccan rug. 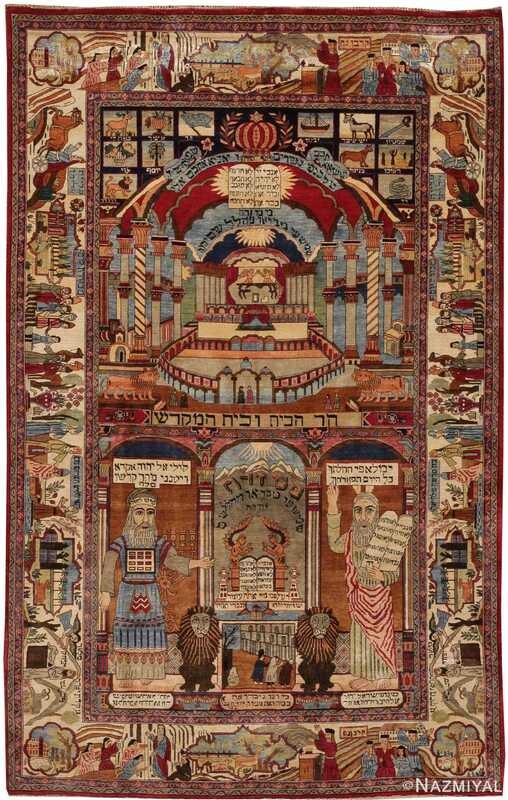 Bezalel Rugs are among the more well-known and widely celebrated styles of Judaica rugs, with a unique history all their own. 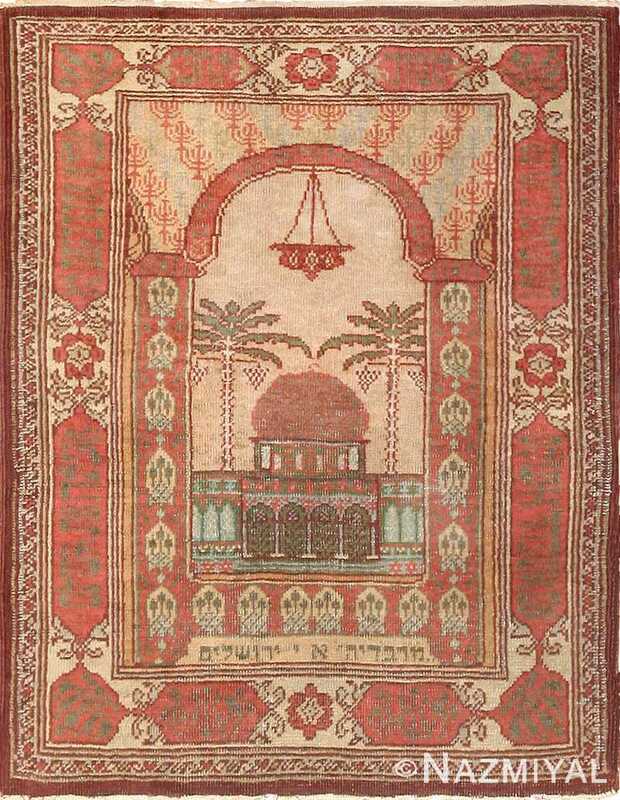 Regarding rug patterns, they often featured Jewish motifs, Old Testament biblical imagery, scenes of the Holy Land and sites of religious significance. 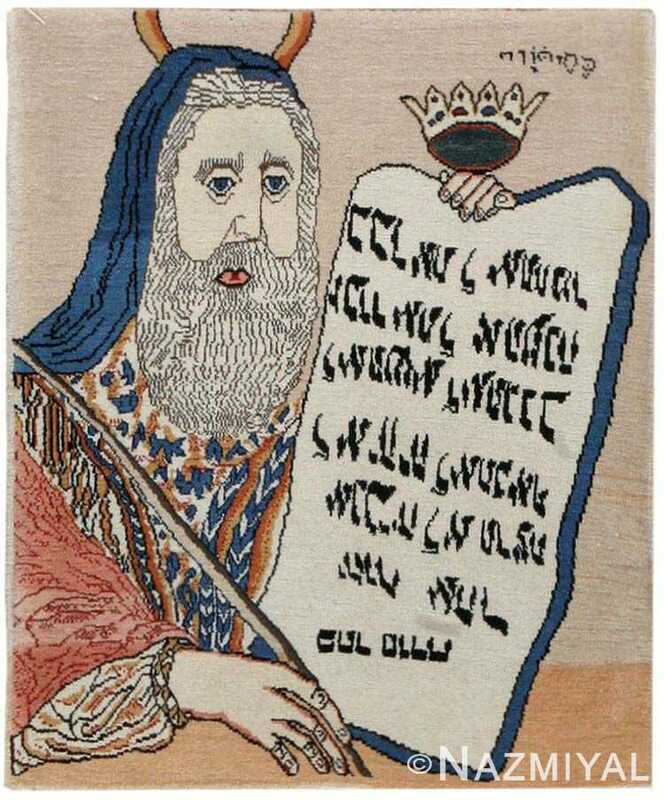 They were frequently embellished with stars of David and menorahs. 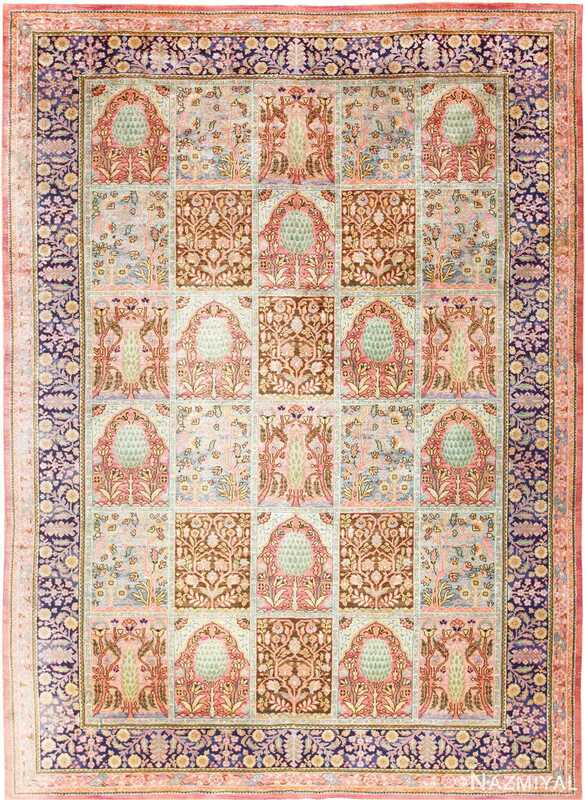 Antique Rug Symbols: Judaic Motifs — Judaica motifs include symbolic religious motifs such as the Star of David, as well as Old Testament imagery, and Hebrew texts. 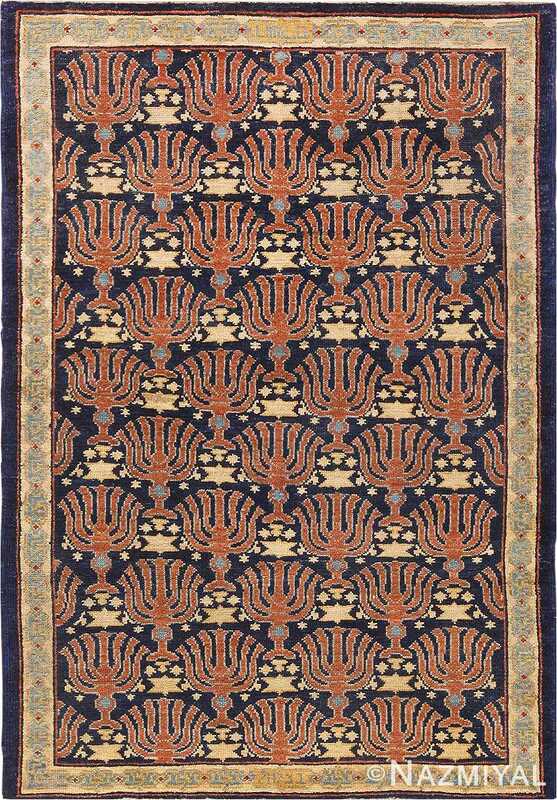 The Jewish people were known as wanderers for many centuries, and rugs containing Jewish motifs can be found in carpets from everywhere from Morocco, to Europe, to Asia. The revival of Jewish life in Israel in the early 20th century led to the establishment of the Bezalel Art School in Jerusalem. 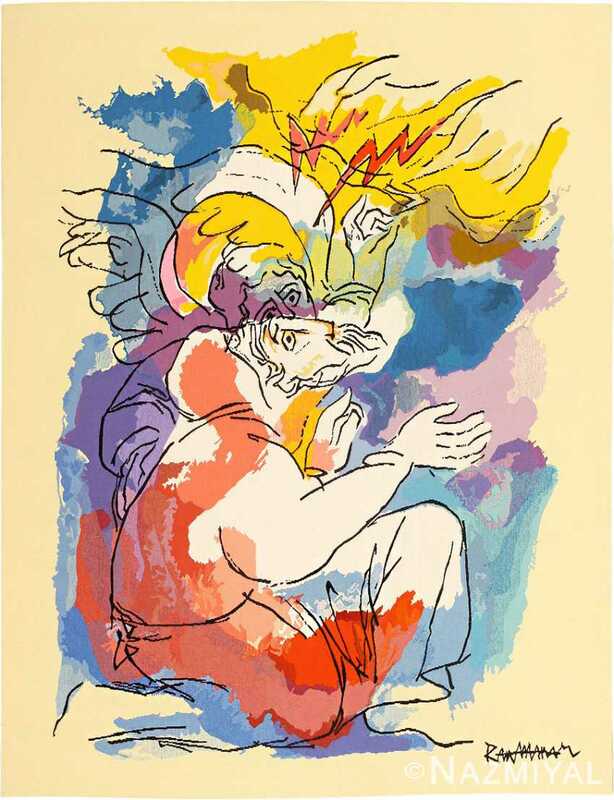 The goal of the school was to create a Jewish art form that reflected the Jewish experience. 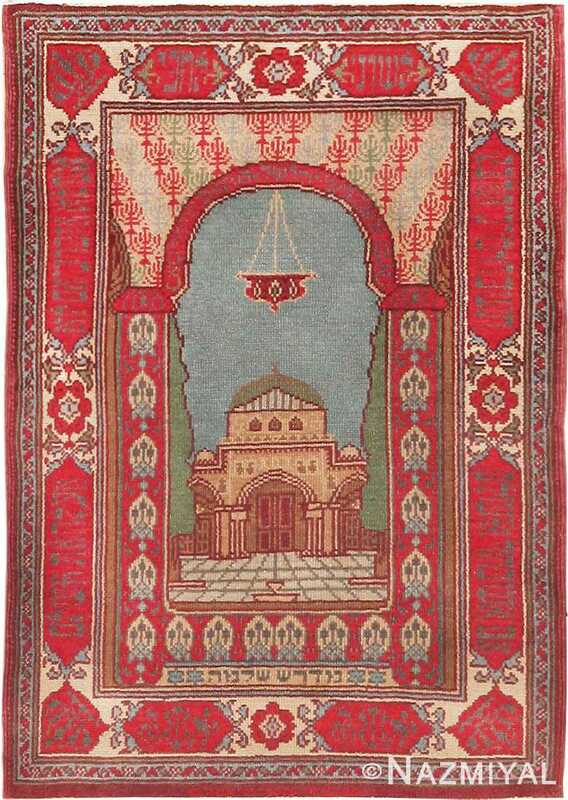 The Israeli carpets that were produced at the academy were a combination of Jewish, Persian, Turkish and European styles. 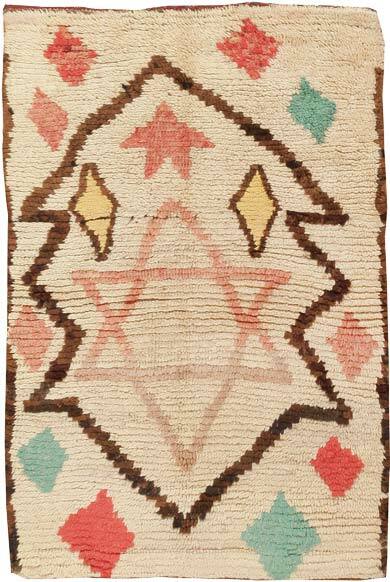 The star of David is used as both an identifying symbol on rugs, letting viewers know the faith of the weaver, and also as a protective symbol. 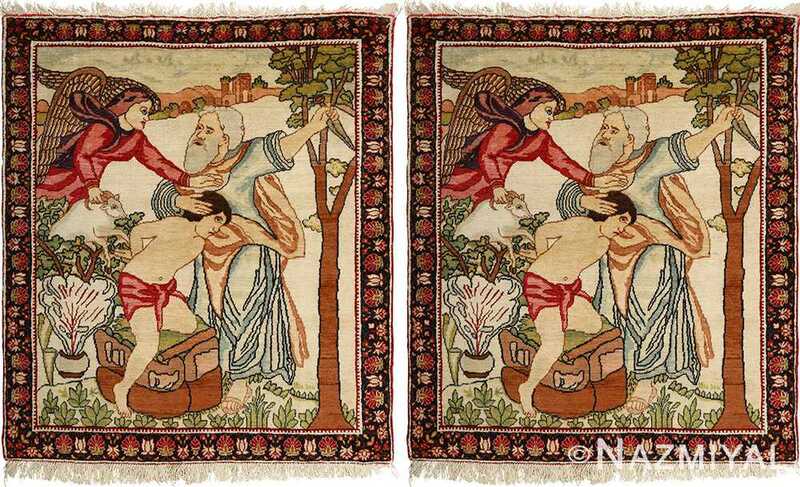 Excerpts from the Old Testament found on rugs often include a moral lesson or story important to the weaver. 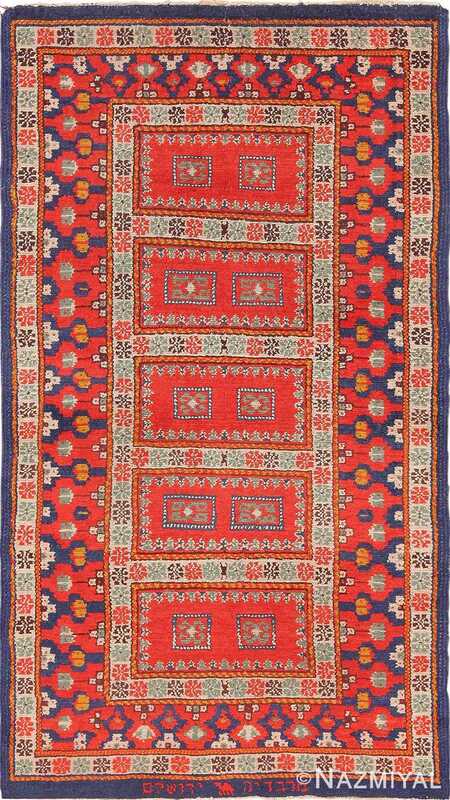 While the field of this antique Oriental Bezalel rug from Israel displays a classic Turkoman design from Central Asia, the border has varius Jewish symbols. 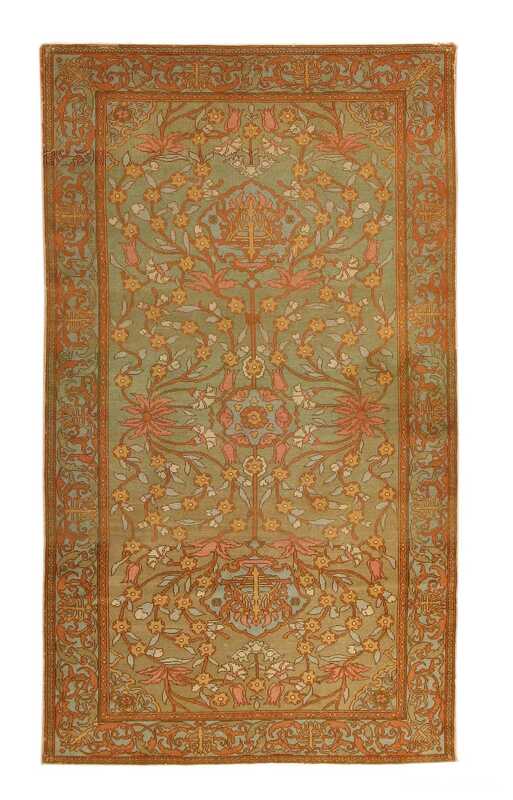 Lovely and eclectic, this breathtaking antique Bezalel rug, from Israel, combines the elegance of Persian rug design with European, Art Nouveau, or even neo-medieval Arts and Crafts. 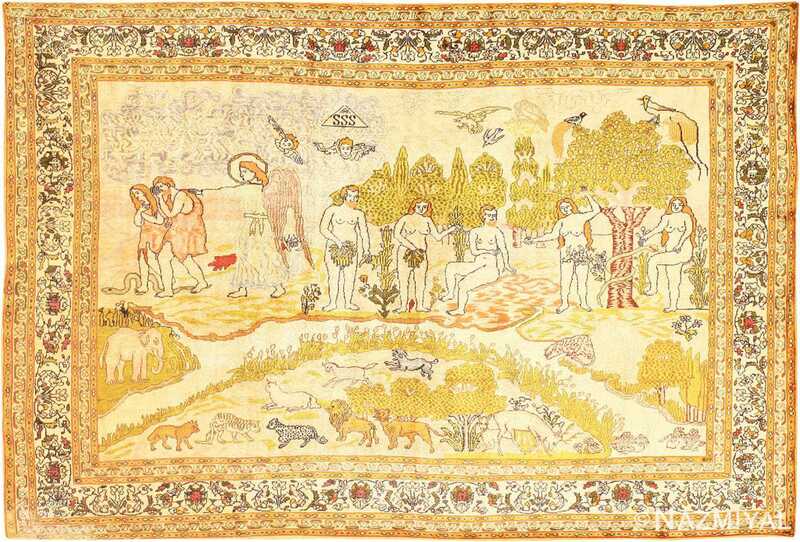 Crafted in Israel, this essential Bezalel rug depicts a decorative landscape scene that artfully combines aspects of art, history and religion in a pictorial form.